We’ve come to view our possessions and the busyness of life as security–because when you get rid of the busyness and extra stuff–we’re forced to know who we really are, and what we really want. But that’s also the beauty of it. We get to really be ourselves, in the life that suits us best. 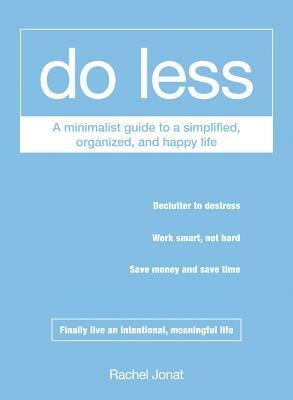 A fairly quick read, simplistic design to go with a simplified life, truly a guide to get you started on the action of minimalism. 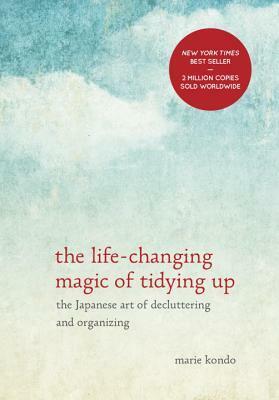 With decluttering your home, your work, and your spending and time, it gives a quick look at every aspect of life. 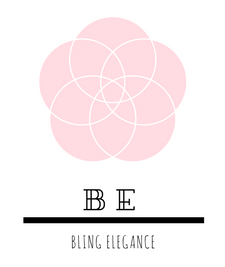 While I don’t agree with Marie’s spiritual aspect of tidying up, she has some great advice for actual decluttering and also for storing the stuff you have left. This is a very thorough guide to the organization and sorting of stuff. 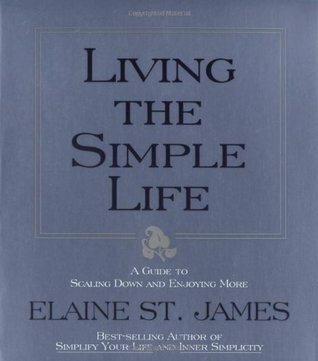 These last two, both written by Elaine St. James, are similar in some points but have some different content. Both have lots of ways to simplify, from the simple (not answering the door or phone all the time) to the more radical (getting rid of your vehicle). I highly recommend both these books to anyone looking to simplify or who have already begun simplifying, because she presents different ideas for all levels. Perhaps you’ve already simplified your money, but have never thought of simplifying holidays. 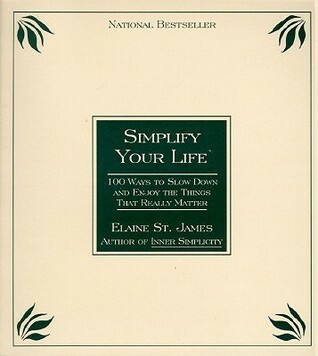 So that’s four books to get you thinking and moving–toward a simpler life.